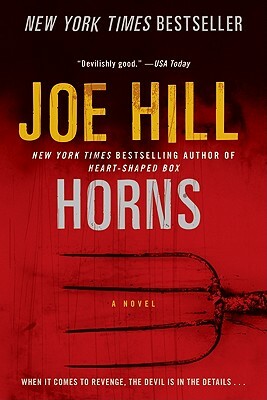 Horns: A Novel (Paperback) | Water Street Bookstore, Inc.
Joe Hill's critically acclaimed, New York Times bestselling, Bram Stoker Award-winning debut chiller, Heart-Shaped Box, heralded the arrival of new royalty onto the dark fantasy scene. With Horns, he polishes his well-deserved crown. A twisted, terrifying new novel of psychological and supernatural suspense, Horns is a devilishly original triumph for the Ray Bradbury Fellowship recipient whose story collection, 20th Century Ghosts, was also honored with a Bram Stoker Award—and whose emotionally powerful and macabre work has been praised by the New York Times as, "wild, mesmerizing, perversely witty…a Valentine from hell."